Yea, it's taken over a year, but my quest to re-watch all of these Jason films in chronological order is still in effect. And when Netlix began streaming these recently I finally got the chance to check this one out. I own all of them except for this one and Jason X. So it was always a difficult choice trying to decide whether to rent it, buy it or borrow it. And because of that it took me forever to finally get to this one. But Netflix saved the day. Well, you know, this was pretty bad. Bad from all angles. 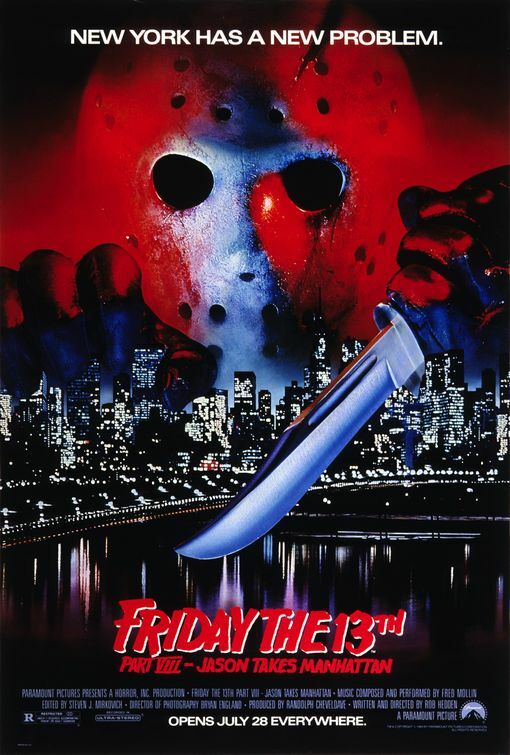 The production, the execution and hell, even in the title, where you're meant to think that Jason wreaks havoc in the big apple only to find out he spends maybe 15 or 20 minutes chasing a few kids at the end. The majority of the film takes place on a boat, which is a new way of taking the concept I guess, but don't trick us into thinking we're about to see a badass slasher flick of our favorite baddie slicing and dicing his way across New York City. That ain't what we get here at all. I would honestly have to consider this among one of the worst in the series. Part 7 was no masterpiece, but it played with some cool concepts and in the least had some pretty cool kills. This one is far more bland and lame. First of all, most of the kills happen off camera (huh?). And when or if you do see one actually take place in "front" of the camera, it's extremely tame . We don't even get the usual T&A to distract us from time to time, something most of these films do really well. I remember a brief half-assed scene in the beginning, but that's it. So right away, no T&A and no decent kills. So why are we even bothering with this again? This was Kane Hodder's second run in the series playing the unstoppable Jason. I honestly had no idea he started so late in the series. I mean, you always hear he's everyone's favorite Jason and as much as I would hear his name tossed around throughout the years in regards to playing Jason, I would have thought he began early on or maybe about Part 5, but it looks like he only had a go at it about 4 times. I thought he was good. Maybe too big and bulky for my taste, and for someone who's supposed to be dead, he breathes awfully hard. It almost seems like a signature thing; his whole body moves drastically when he breathes. If you're dead, why would you be breathing? For my money, I actually thought the guy playing Jason in Part 6 was the best one. But that's just me. As far as execution goes, this was about as bland as can be. At least Part 5 was so bad that it was laughable. This one is just bad and boring. Never a good mix. Writer/Director Rob Hedden apparently had some background doing a few episodes of the Friday the 13th television series, but his particular style of filmmaking does not translate well onto the big screen or feature films. Stick to television man. I hate that it sounds like I'm beating this thing up to a pulp, but honestly I found no redeeming quality. No T&A, no awesome kills, no gore, no NYC. What gives??? I think the only decent aspect to come out of this is that I finally saw it and now I can move onto Jason Goes to Hell. Call me crazy (and I'm sure you will) but I actually don't mind this one. I agree it spends way too long on the ship but I like where they were going with the New York City stuff. The bit where that kid stands up to Jason and he just punches his head clean off is hilarious! I will admit, that knocking off of the head on top of the roof was cool. Though, that scene also emphasizes my point. You'd think that when someone's head get's ripped or knocked off you'd see "some" blood. lol. There was no blood!! I swear, was this PG-13??? Yeah, fair point. It was quite bloodless. 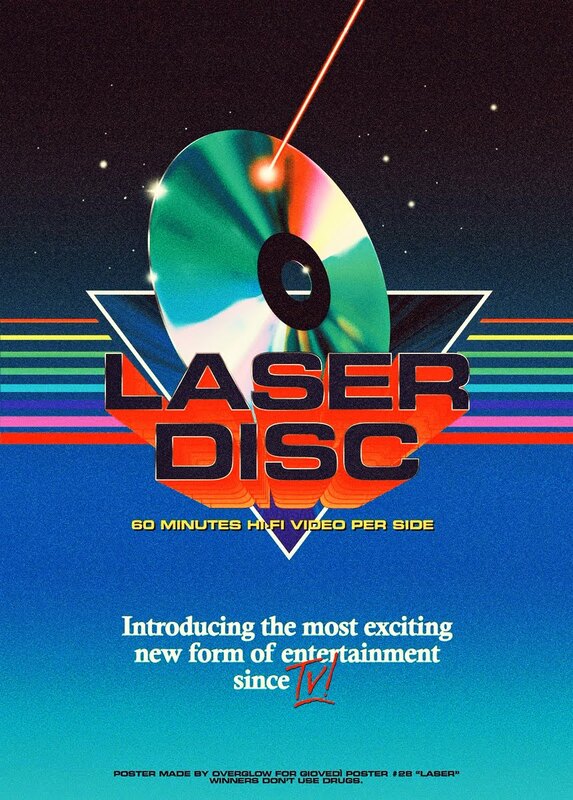 To be honest I thought that was more down to the MPAA cutting the film to ribbons. I'd love if Paramount could get together some uncut version of the later films. They must have the footage somewhere. Great review. Yeah, this is terrible. Jason Goes to Hell is probably worse, unless you watch the unrated cut, which at least has the benefit of some decent gore.